We know that wherever you are living or working can have unique demands - your healthcare needn’t be one of them. The group plan has been designed by ALC Health to help you find and access the very best possible medical treatment. Full details about the plan including your benefits and how to claim can be found using the tabs located at the top of this page. 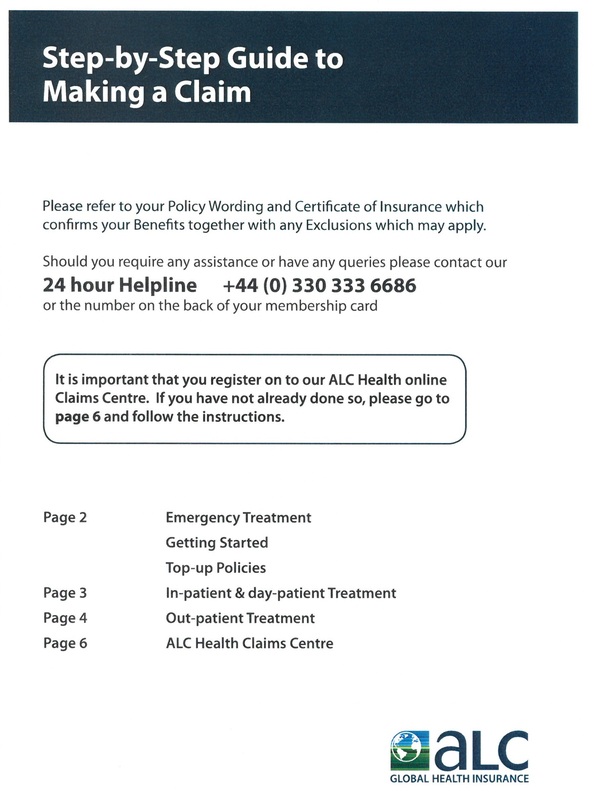 You will receive an ALC Health welcome pack when you join the scheme and at each renewal. Please keep this in a safe place. Please carry your membership card with you at all times. It contains your Policy Number, Customer Number and details of your cover on the front. On the back of the card you will find the telephone numbers to call in the event of an emergency or should you wish to make a claim. Please check this carefully. It shows who is covered under your policy, their dates of birth, the area of cover where you can receive treatment, your benefits plus any excess that applies. If you have any queries about your Certificate of Insurance or wish to change any of these details, please contact Nadezhda Hristova at Marsh (Bulgaria). Please refer to this guide before making a Claim and follow the instructions to register online. If you need medical advice or require immediate admission to hospital our specialist team are ready to help you. Please contact (or ask someone to call us on your behalf) our emergency assistance centre immediately. Please ensure that you carry your membership card at all times. Hospitals may need to have access to this and will, where necessary, check your personal belongings to find it. It is also a good idea to ensure a relative, close friend or colleague is aware of your medical insurance arrangements. Please attach this to your keys. 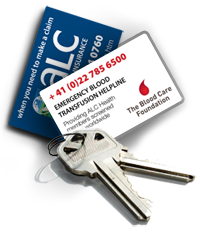 Our Claims and Emergency Blood Transfusion Helpline details are there should you need them. This document sets out your benefits and the policy terms and conditions which apply. Please take a moment to read and understand the benefits you are covered for and any exclusions. Should you be unfortunate enough to be involved in an accident or taken seriously ill and need an emergency blood transfusion, ALC Health and the Blood Care Foundation will ensure that fully screened blood will be sourced and delivered quickly. 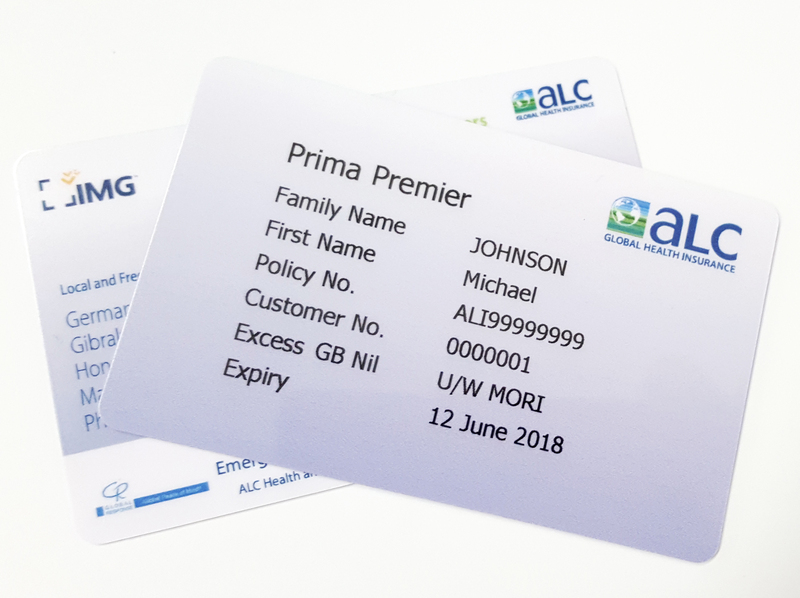 As an ALC member you will have FREE and unlimited access to our extensive online resource service accessible from any laptop, tablet, desktop or web enabled mobile phone, giving you details about medical facilities near you and the very latest security information. Your Welcome Letter within your membership pack gives your login code and password. medical and travel insurance programmes for expatriates, individuals, companies and groups worldwide.